Two things can make it difficult to qualify for a loan or an apartment lease. Having no credit and having bad credit can make a company unwilling to work with you. Dealing with no credit history is easier than fixing a bad credit history. In both cases, you may need to find a cosigner that can help you out or look for other solutions to build your credit. You do need to work to build a good credit history so you can qualify for a mortgage in the future. When you have no credit history, it means that you do not have anything on your credit report at all. You have not borrowed money in the past. It simply means that you have not borrowed any money within the last seven years. This is not a difficult thing to overcome. Many people who do not believe in borrowing money may not have a credit history. If you are in college you may not have a credit history, unless you have taken out student loans or you have a credit card. Some companies have a hard time working with someone with no credit history because they do not know if you will pay things on time. If you have utilities in your name or you have been renting an apartment you can use these things to show that you are reliable and make your payments on time. If you need to build a credit history you can do this by taking out a small loan such as a credit card or a car loan. Make your payments on time each month, and try to pay the loan off early. The reason you may want to build a credit history is to make it easier to qualify for a mortgage. If you do take out a loan make sure you handle it responsibly because poor decisions can make it even harder to get a loan than having no credit at all. If you need a cosigner on your first loan, you need to make sure that you handle it responsibly, because the cosigner is putting their reputation at risk for you. They will be responsible and their credit score can be hurt if you make a mistake. When you have a bad credit history you have late or partial payments on your credit report. You may have loans that you completely defaulted on. If you missed utility payments or had your power turned off for lack of payment, this can show up on your credit report as well. You may also have debts that have been turned over to debt collections. This negative activity can lower your credit score by quite a bit. If you are too close to your credit limit on your credit cards or if you have borrowed too much money this can hurt your credit score as well. This will lower your credit score and make it difficult to qualify for good interest rates or loans, depending on your situation. If you have had a foreclosure or a bankruptcy your credit score will be very low. 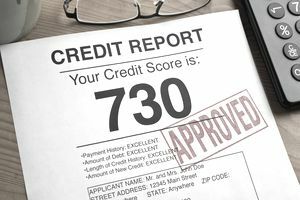 These marks will stay on your credit report for at least seven years and will affect your credit score for that entire time. It does not mean you will not be able to borrow money, but your interest rate will be a lot higher. Once you have bad credit, it does take time to repair it. If you want to improve your credit to qualify for a mortgage or another car loan, you need to realize that it will take time to build your score back up. The first thing you need to do is to get current on your payments that you are behind on. If you have loans in collections, you can leave those alone until you are current and caught up. Then you need to work to reduce the amount that you owe so that your debt to credit ratio is lower. Finally, you can work on paying off the debts that are in collections. This will slowly bring your credit score back up.